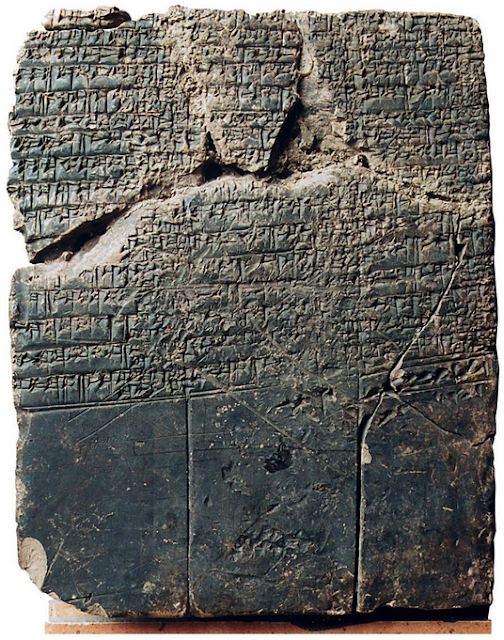 Img:The World’s First Female Author, Enhedu’anna This ancient clay tablet from Babylonia is inscribed in Sumerian cuneiform and dates to the 20th-17th centuries BC. It mentions King Sargon’s daughter Enhedu'anna as the author of a hymn to the goddess Inanna. The tablet has lines written first by the teacher in the first column, with 2 students repeating the hymn in columns 2 and 3. Enhedu’anna was the daughter of King Sargon of Akkad (2334-2279 BC), founder of the first documented empire in Asia. Enhedu’anna emerges as a genuine creative talent, a poetess as well as a princess, a priestess and a prophetess. She is, in fact, the first named, non-legendary author in history. As such she has found her way into contemporary anthologies, especially of women’s literature.